ALT Balaji: Czarina’s Midas touch? “She has a mind of her own. Ambitious and intellectual, she has a keen sense of integrating content and business. It’s as if she has a magic formula to hit gold, every single time,” are the words of an industry veteran and well wisher, acquaintance of Ekta Kapoor who shared his thoughts on condition of anonymity. 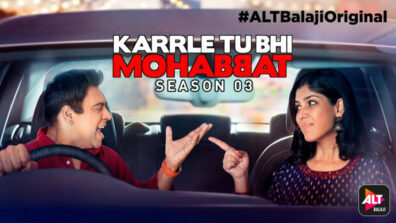 Ekta Kapoor and her ambitious OTT venture, Alt Balaji has hit the hitherto still water with a rippling effect and rightly so. While other top league networks namely Hotstar, Sony LIV, Voot have been tip toeing cautiously in content formulation and dissemination, ALT, on the other hand has come out all guns blazing. Understandably, OTT offshoots of broadcast networks come blessed with a larger playfield, but often it’s not about the size of the ground. The player manoeuvring and cutting through the game usually scores big, an example being Arre and individual players like TVF. Storytelling is Ekta’s raison d’être. She masters the art of weaving content which tug at the audiences’ heartstrings. The connect is superlative and unparalleled in the television space and the world is watching with keen expectation if magic would replicate in the digital space or not. 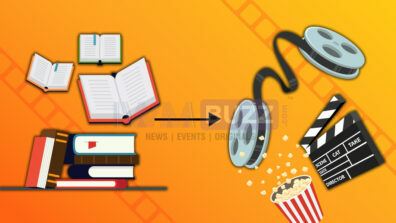 The content tree has largely four clutter free branches, namely shows (original content), movies (library of Balaji productions), Kids (acquired and original) and Movies (inhouse and acquired). All original content in all categories carry the tag #ALTBalajiOriginal on the thumbnail. While library content is more of ‘mood or binge’ watching, the real test lies in the spectrum of original content. ALT here employs an innovative strategy. While most of its competitors stick to produce, promote, pause and produce one more philosophy, ALT is launching with a handful of shows in diverse genres at one go. “The idea is to not fall back solely on library content. ALT intends to provide audience with as much programming options as possible. If there is one show which is not as per someone’s taste or liking, not to worry, they have more to offer. They don’t want to play the wait & watch game. They are going live with multiple products and it will be interesting to note the consumption trajectory,” opines an industry analyst. The selection of shows and actors is attention-grabbing most definitely. The domain is digital, yet ALT is relying heavily on Ram Kapoor and Sakshi Tanwar’s ‘Bade Acche’ ‘fan’dom to begin on a high with the show Karrle Tu Bhi Mohabbat. So will a quintessential TV audience bite the OTT bullet too? Well, only time will tell. 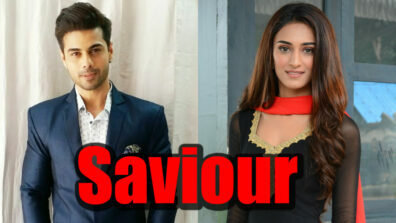 DEV DD, The Test Case (flagship), Romil, and Jugal, Bewafaa Sii Wafaa, Karrle Tu Bhi Mohabbat, Boygiri are the ‘starter’ originals as promoted on the platform. There is also a regional original in Tamil, Maya Thirai. There are sprinkling of some acquired international and kids’ content but it’s certainly early days to delve deeper. Well, what seems a blot in planning hope doesn’t raise its monstrous head to become a blasphemy. A point to be noted. ALT Balaji believes that people will pay to watch premium content, thus has thrown its hat in the ‘dubious’ subscription ring. One has to register or sign in to access content. ALT here uses the ‘guerrilla tactic’ of luring audience with some free content before asking them to pay to ‘continue watching’, a model which will be successful based on user engagement and stickiness. Eventually, it’s the battle of the content and with Ekta at the helm of creative affairs, one can be certainly gung-ho about the new platform. Apart from Ekta, the power drivers at ALT Balaji include Sameer Nair (Group CEO), Nachiket Pantvaidya (CEO ALT Digital), Manav Sethi (CMO ALT Balaji). ALT Balaji launched on 16 April (2017) and IndianWikiMedia (on a fresh journey like ALT) wishes Ekta and her team all the luck and success.